Reliable automatic backup solution for your Windows... This tool stands out from the crowd. Handy Backup is very powerful and important software which is greatly designed to back up all the useful data and information in your computer without any problem at all. CNET : A nice interface and complete set of options make this one of the best backup utilities we’ve seen. Handy Backup will take any file or folder and do exactly what the title suggests, make a handy backup. But that’s not all folks, it comes with a plethora of nifty tools; think of this product as the Swiss-army knife of backups. This program is not perfect, but it’s obvious that its developers are doing their best, and the final result of their efforts is the security of your data. Don’t wait any longer, get the trial version now and see if it suits your needs! 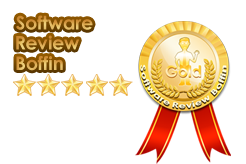 We are pleased to notify you that our editor’s team have been very impressed by your excellent application Handy Backup. We sincerely congratulate you for the excellent job that you have done and want to recognize your achievement by awarding you with our Editor’s pick gallardon: our highest recognition. Handy Backup is a nifty utility for anyone looking for an easy way to protect their precious data.